HitFix is reporting the news, along with the fact that Apocalypse cast member Alexandra Shipp will be reprising her new role as Storm for the teen-focused film. The site also reported another New Mutants casting, as well: Illyana “Magik” Rasputin, the little sister of Deadpool co-star Colossus. Magik will be played by Anya Taylor-Joy, the breakout star of this year’s Puritan nightmare The Witch. In other news: we’re only a few hours away from the annual horror of April 1, International Liars’ Day. 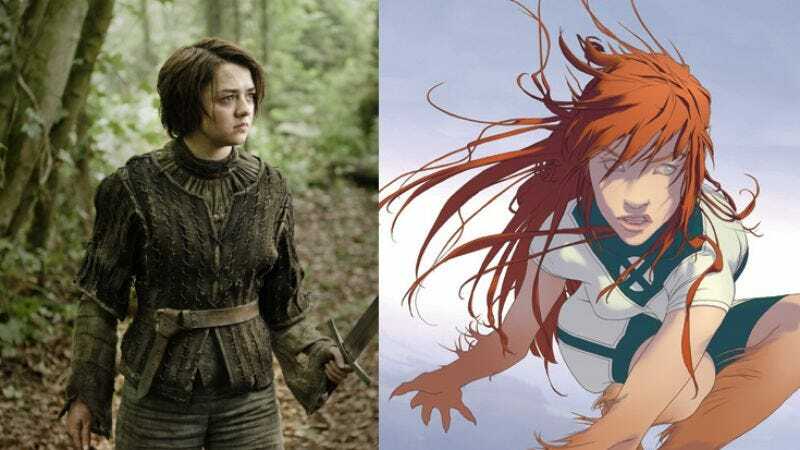 So if it turns out that someone is running a prank by pretending to cast Maisie Williams as a wolf girl and the actress from The Witch as a witch, you’ll know it’s happened when you see that we’ve gone ahead and just burnt the entire internet to the ground.